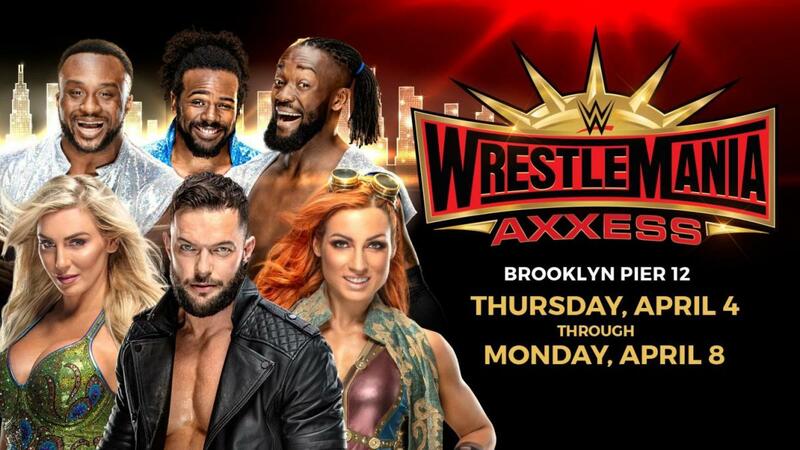 Brooklyn Pier 12 in Brooklyn, New York will host WrestleMania Axxess from April 4-8, with it beginning with one session on Thursday and ending with one on Monday. There will also be two sessions on Friday, three on Saturday, and one on Sunday. A pre-sale for Axxess tickets (using the code "DOTCOM") will begin on Ticketmaster at 10 a.m. Eastern time this Wednesday and end at 11:59 p.m. Eastern this Thursday. Axxess tickets will go on sale to the general public at 10 a.m. Eastern this Friday. WrestleMania 35 is taking place at MetLife Stadium in East Rutherford, New Jersey on Sunday, April 7. The Barclays Center in Brooklyn will host NXT TakeOver: New York, the WWE Hall of Fame ceremony, and the post-WrestleMania editions of Raw and SmackDown in the days surrounding the event.